About: This is a very easy to make dessert and a great way to impress your guests without boring them with the usual desserts. 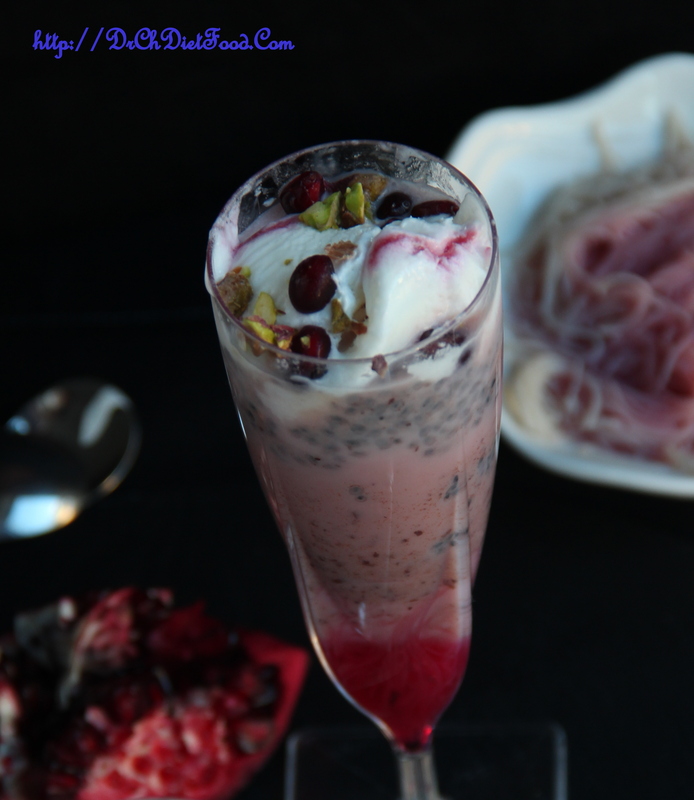 Falooda is a popular desert served with basil seeds, falooda sev, rabdi, rose syrup and kulfi or ice cream. Here in this recipe I have sweetened the milk with dates. If you like it to be served as sugar free/diabetic friendly then skip ice cream and rose syrup just use dates as a sweetener and serve with fruits, nuts, noodles and sabza seeds. Health benefits: The basil seed gets extracted from basil leaves, which alleged as one of the most beneficial herb, running outstanding in response from olden days. The basil seeds and the basil leave both works marvellously to treat and cure several health complications. The seeds of basil found helpful to mend and promote efficient immune function. Soak the sabza/basil seeds in 1 glass of water for 10 minutes. After soaking time-drain all the excess water and set aside. Place dates in the blender with few tablespoon of milk and ground to smooth paste. Add this dates paste to milk stir well and then chill it in the refrigerator until served. Once the noodles are soft drain, cut them into small 1 inch pieces and set aside. Top it with a small scoop of ice cream and then garnish with pistachio, pomegranate. I used boiled and cooled low fat milk. Sweetness can be adjusted as per the taste. Layering of falooda can be personalised. Posted on May 28, 2015, in Dessert, Indian, International, Sweets and tagged 5 ingredients dessert, chinese brown noodles falooda, Dates rose faloods, no-sugar falooda, quick and easy indian dessert, rose faloods, wheat vermicelli falooda. Bookmark the permalink. 38 Comments. This is fascinating! Every time I read your recipes I learn something new and I love it. You are amazingly creative! Thanx a zillion bunch Tina for your sweet encouraging words. … Dad godz blessings…. This looks so interesting and delicious. I will have to see if I can find all of the ingredients. Thank you June…. I completely agree- rise syrup is the winner in this dessert…. 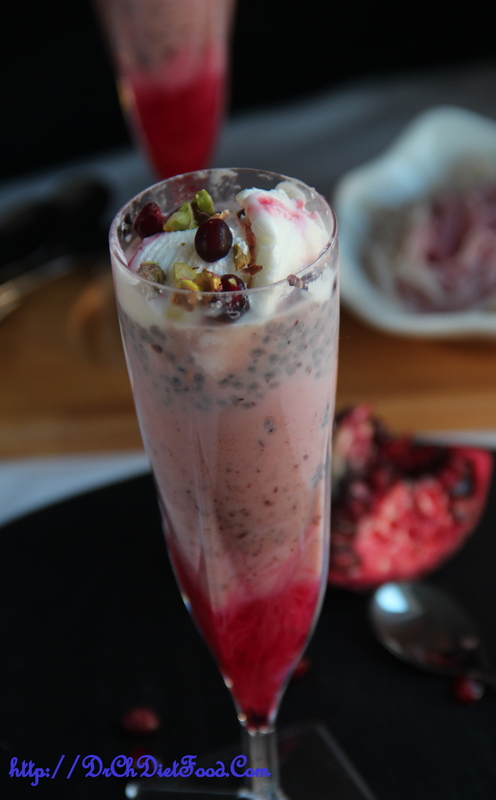 I have always wanted to try falooda, it sounds delicous and I think the rose syrup is a delicious addition. I second you Suzanne – rose syrup makes this simple dessert rich and flavorsome…. Thank you for your lovely words… ..hope Nando is doing better now. ? You know, I never got acclimated to the taste of faloodas..but they sure are pretty! Very true they are pretty and light dessert too…. Now that looks a splendidly appetising dessert. I’d not heard of it before. Amazing dear !Loved it and beautiiful Presentation! So lovely Chitra, so many bloggers on FF have given us their version of falooda, and I always promise myself that I am going to attempt to make it. I’ve never made it before, but absolutely love it, so here’s hoping I’m able to soon, thanks for your recipe :). By the way, I have a lot of problems accessing your site for some reason, once I’m on it, it is very slow to download, I wonder why? Loretta – Sorry to hear you are facing challenges to access the blog…Not sure what can be the reason..Is that you faced today or happened in the past too???.. Sometimes I do face to access few blogs and not everytime. Feel it is linked to WordPress concurrent users limit at a time..
Chitra, it happens each time I click on your blog, everything slows down to a trickle and it takes a long time for the entire blog to show up. Then it turns very slow and the pictures take a while to show up. It seems like you’ve just changed your blog appearance? Ever since then, I believe I’ve been experiencing these issues. Not sure if others do too? Anyway, I’ll continue to look into it. what is dates? nd where do u found it?